What are the misspellings for dignitary? What are the common mistypes for dignitary? 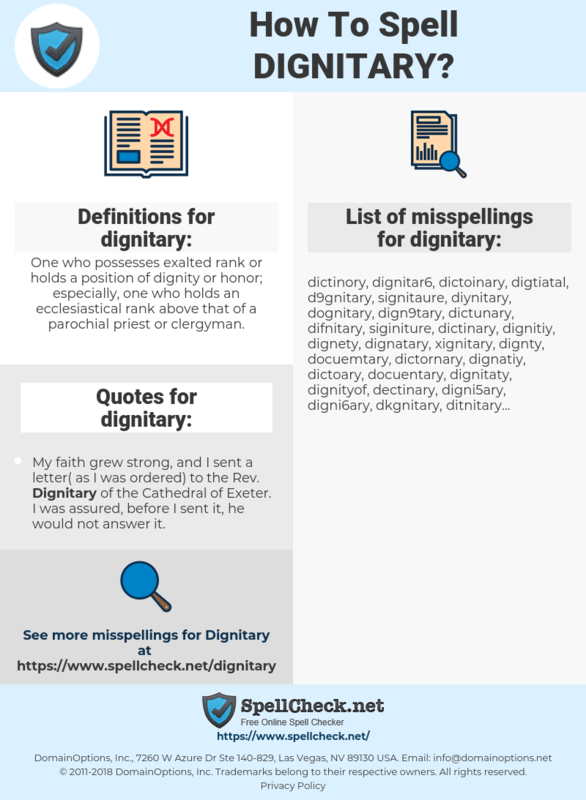 What is the definition of dignitary? What are the quotes for dignitary? What are the translations for dignitary? 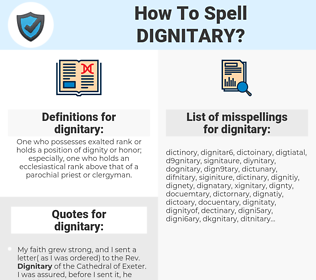 What are the common typos for dignitary? One who possesses exalted rank or holds a position of dignity or honor; especially, one who holds an ecclesiastical rank above that of a parochial priest or clergyman. This graph shows how "dignitary" have occurred between 1800 and 2008 in a corpus of English books. My faith grew strong, and I sent a letter( as I was ordered) to the Rev. Dignitary of the Cathedral of Exeter. I was assured, before I sent it, he would not answer it.